National recording artists Kasha celebrates Top 50 R&B/Hip Hop Charts placement with remix of hit single "I Want You." The remix was handled by Grammy nominated producer Todd Terry. INDIANAPOLIS - Feb. 1, 2014 - PRLog -- Rising R&B sensation Kasha, http://www.reverbnation.com/IMKASHA fresh from an immensely successful 2013, has released her the remix of her newest single "I Want You" on Fontana/Universal Music Group Distribution. Kasha's previous single "Hero" held its own on the National Charts for fourteen consecutive weeks in 2013, peaking in the Top 40. Kasha the businesswoman helms her own independent label, "Kasha Entertainment, LLC," which has a major distribution deal with Fontana/Universal Music Group Distribution. 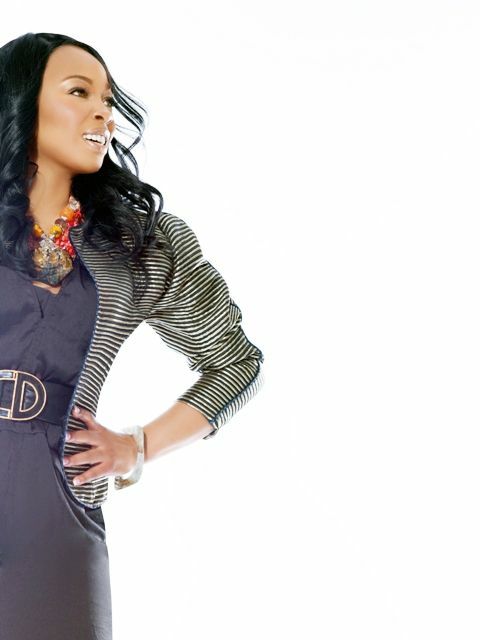 She successfully entered the national stage with "Hero" which made the National Airplay Top 200 Charts; National Top 50 Independent Charts; and National Airplay Top 50 R&B/Hip Hop Charts in 2013. A new media darling as well as a stellar music talent, Kasha has been featured in "Men's World Magazine" in November and December of 2011, performed live for television across her region and she was named "Best Unsigned Artist of the Month" by Star Magazine. Kasha was also featured in the national publication "The Hype Magazine" in October 2013. "I Want You" was originally released in 2012 however, the current version was remixed by Grammy nominated producer Todd Terry and the remix is propelling Kasha forward at a rapid pace as her popularity with radio and the industry at large continues to rise…predictions are #1 with a bullet. "I Want You" is available all major online retailers and everywhere music is sold. Kasha's brand is growing and her fan base ever widening on a global scale. Find out more about this artist and her burgeoning career and brand via her official fan page on Facebook www.facebook.com/IAMKASHA, www.reverbnation.com/IMKASHA and view the official "I Want You" video on YouTube.com/kashamusic1.